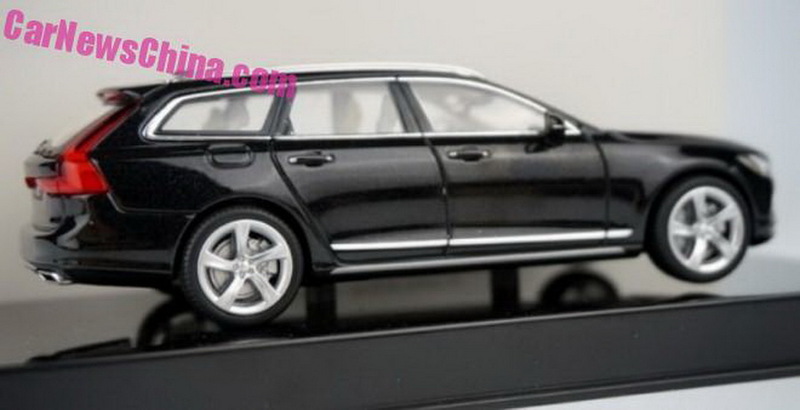 A few months ago, 2017 Volvo S90 leaked through a scale model. And now, the wagon turn to get leak in scale model. Even though it’s a die-cast, we still be able to see how the V90 will look alike when it’s launched next year. 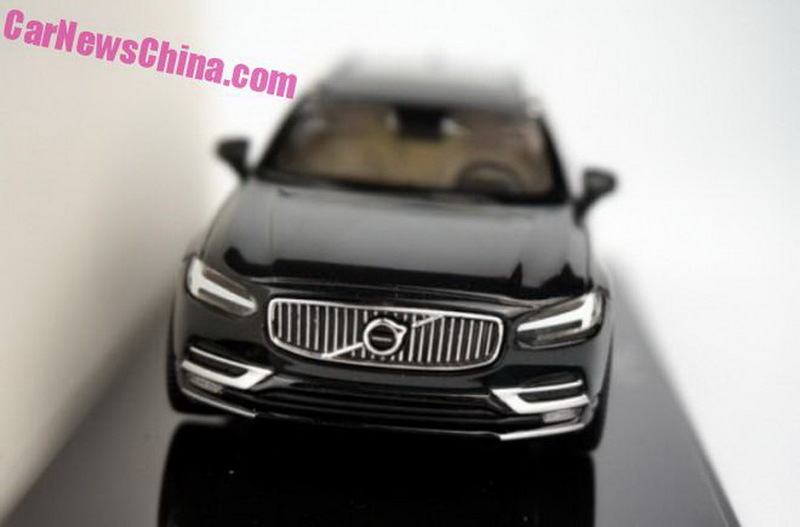 Report said that both S90 and V90 are developed on the SPA platform which means it will share platform with latest XC90. 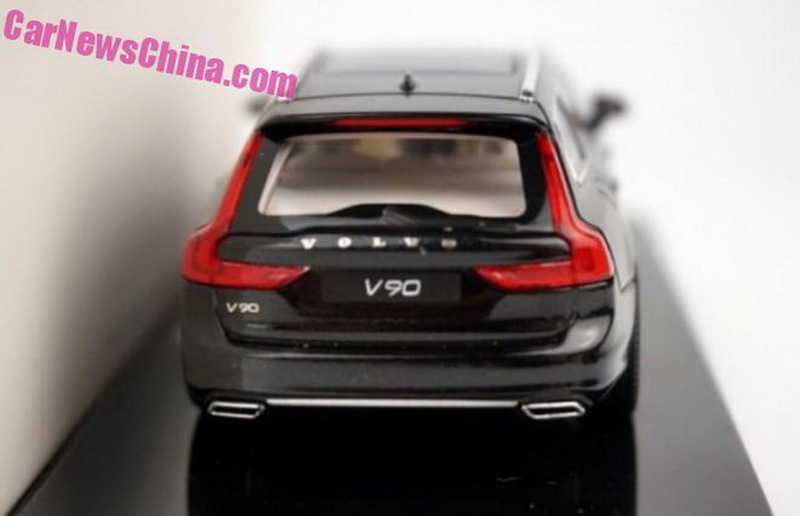 From what we see through 1:43 model, the V90 likely still have the same headlights like XC90 that features T-shaped LED Daytime Running Lights. The grille likely takes the inspiration from the Estate Concept that made its debut at 2014 Geneva Motor Show last year. Meanwhile at the rear, we can see the traditional design of the Volvo wagons, LED taillights (possibly) that sweeps on D-pillar from top to bottom. The taillights besides license plate likely takes inspiration from the Estate Concept. Unfortunately, we can’t see the interior. But I expect it will roomy because Volvo using panoramic roof. There’s no information about the engine line-up. I expect the choices are including range-topping for gasoline engine, T8 Hybrid 2.0 liter supercharged and an 80 hp electric motor. And for the diesel likely there are D5 twin-turbo diesel with 190 hp and 225 hp. 2017 Volvo V90 will be introduced in an international auto show next year (I expect Detroit or Geneva) and will fight against Audi A6 Avant, BMW 5-Series Touring, and Mercedes E-Class Estate.